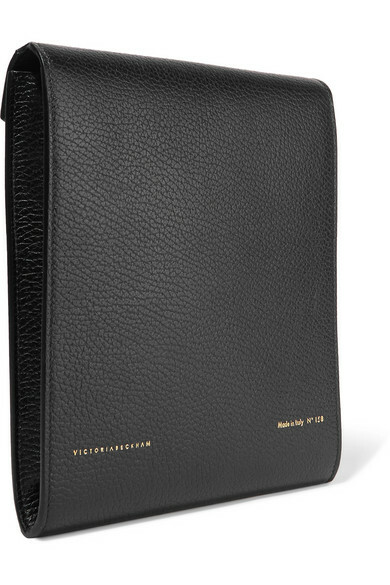 Victoria Beckham's 'Postino' shoulder bag can also be worn as a clutch - just tuck the strap underneath the flap. 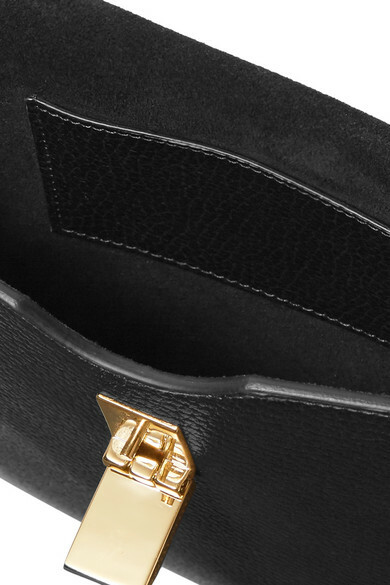 This version has been made in Italy from hard-wearing black textured-leather detailed with gold lettering at the back and unlocks to reveal a plush suede interior. 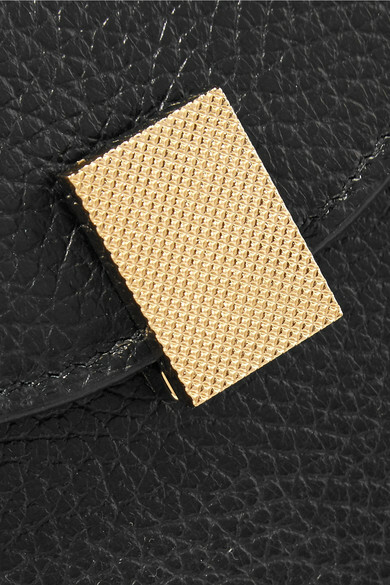 Despite the slim profile, there's plenty of room inside for a cell phone, cardholder and your favorite lipstick. 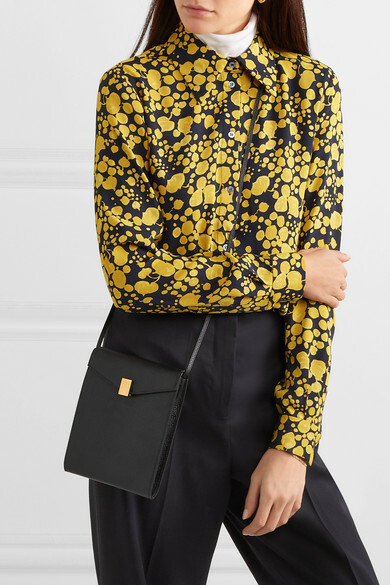 Shown here with: Victoria, Victoria Beckham Shirt, Jil Sander Pants, Wolford Bodysuit, Sophie Buhai Earrings.